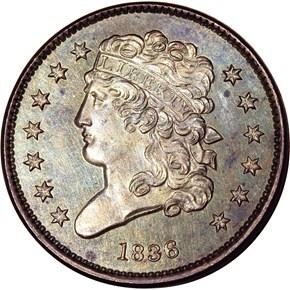 A second, later striking from the same dies as the Originals occurred sometime afterward. 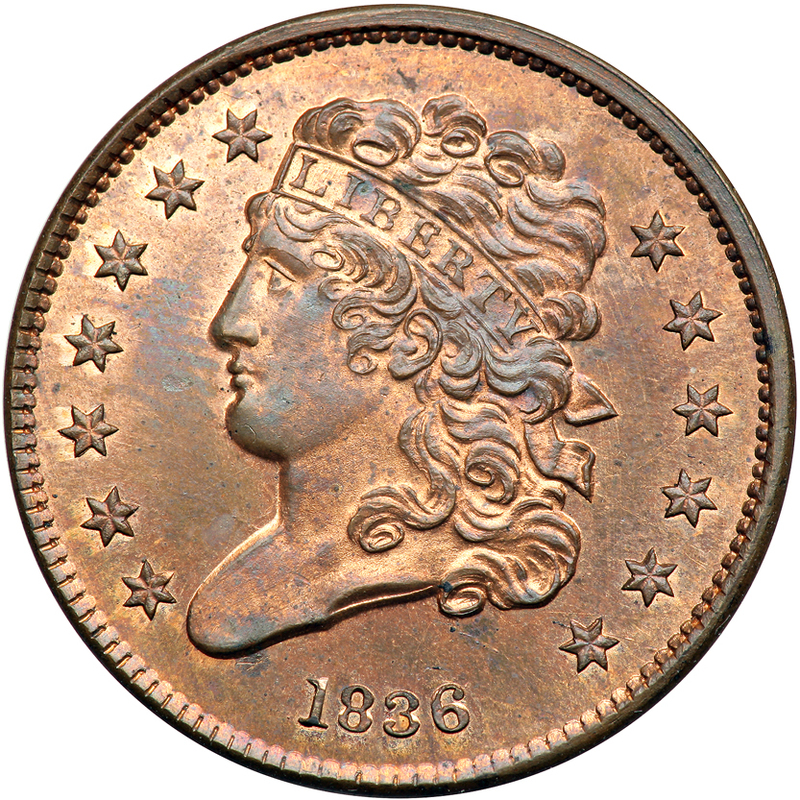 Repolishing of the dies left the new coins looking similar but with slightly shallower relief. 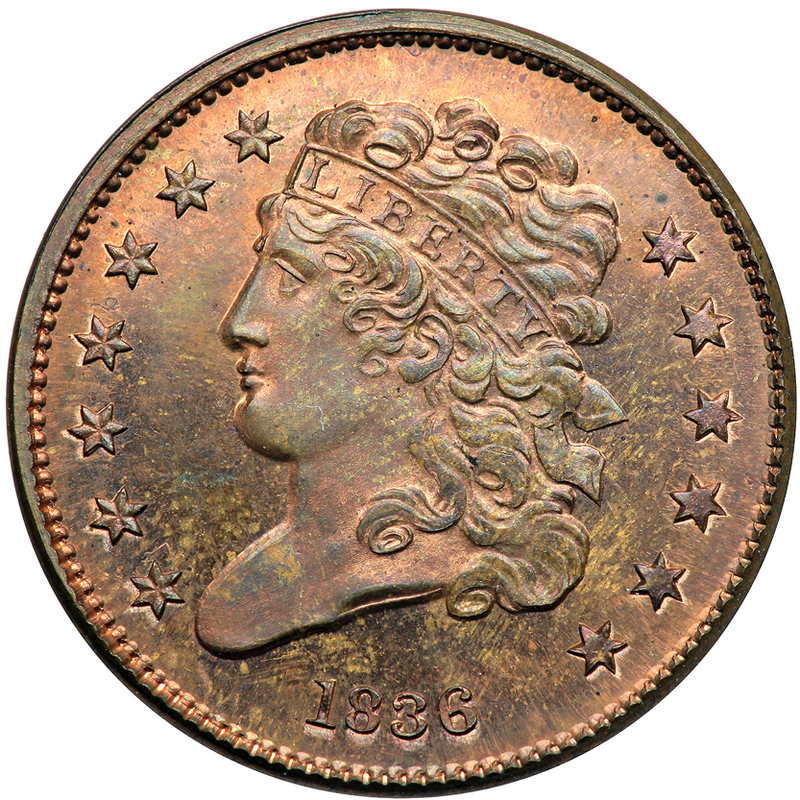 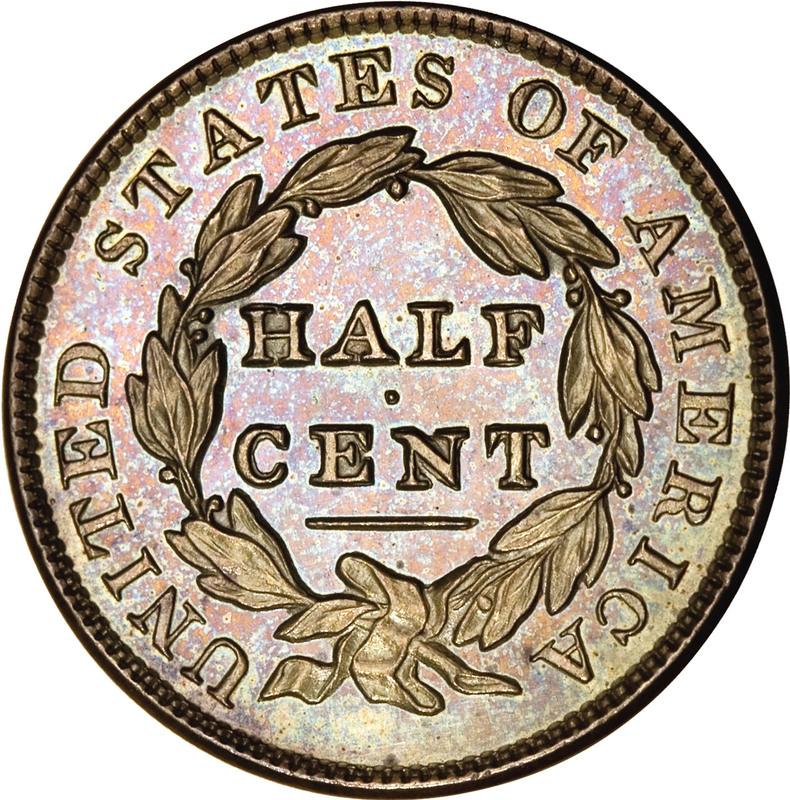 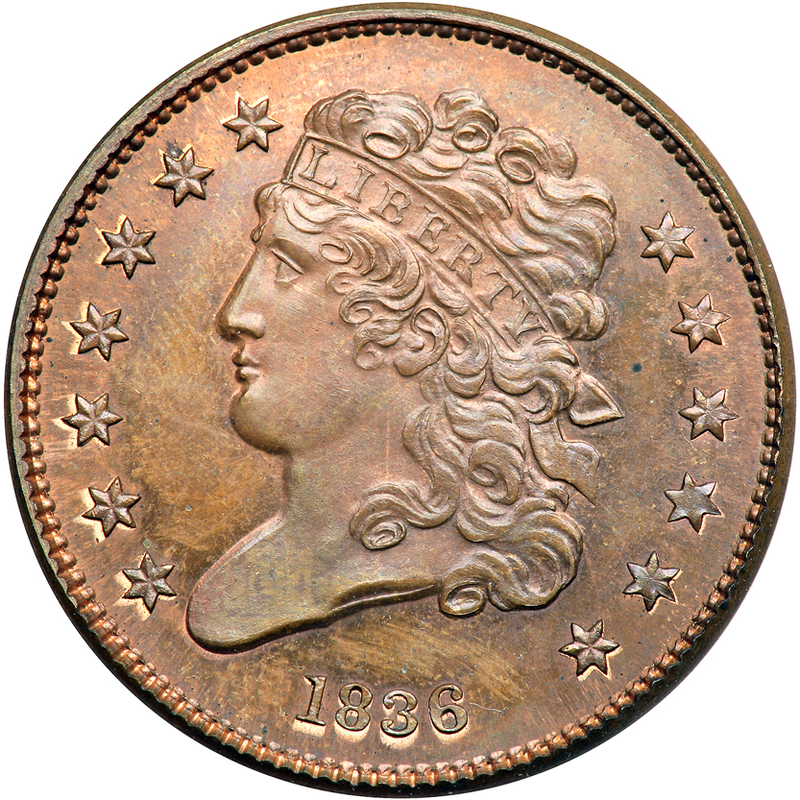 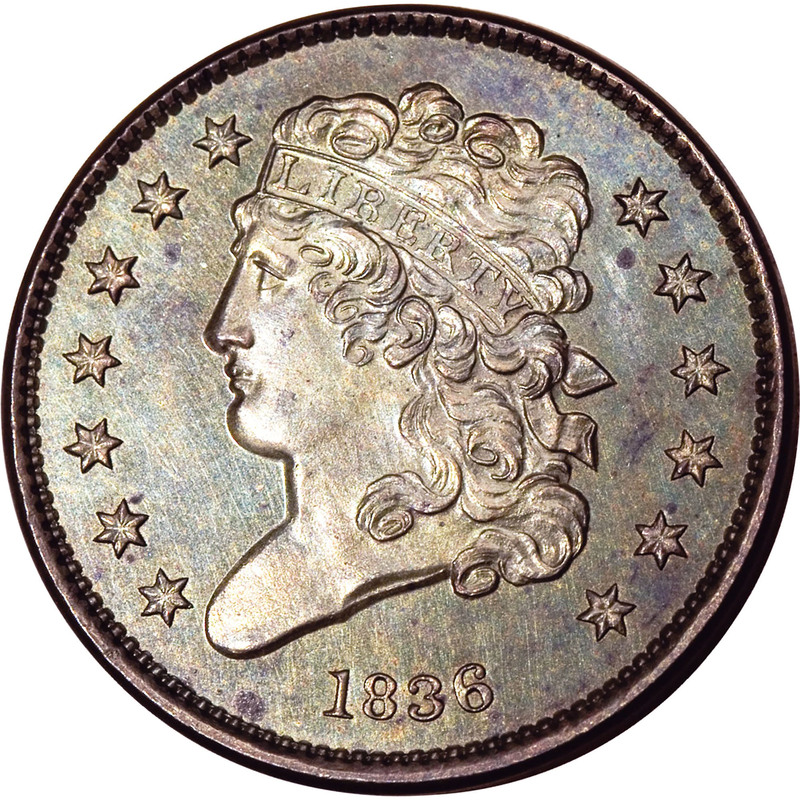 This coin is known as the First Restrike, and it has the normal reverse type of the Classic Head Half Cent. 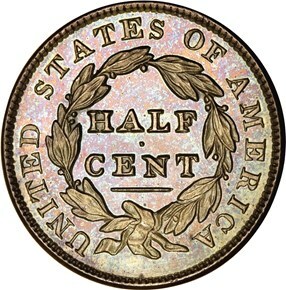 Walter Breen estimated that perhaps a dozen are known.